Piracy off Somalia's coast is a cause of falls in tuna catches in the Indian Ocean - one of the world's richest sources of the fish, experts say. The head of the Indian Ocean Tuna Commission, Alejandro Anganuzzi, said catches fell by about 30% last year, seriously affecting the industry. The Seychelles economy has been badly hit as many foreign fishing fleets are based there. The reduced supply because of piracy has also driven up the price of tuna. 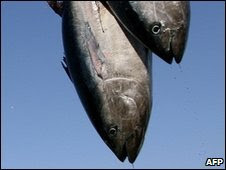 The Indian Ocean tuna industry is said to be worth up to $6bn. Last year Somali pirates took 42 commercial ships with crews hostage, according to the International Maritime Bureau, including the biggest oil supertanker ever captured. 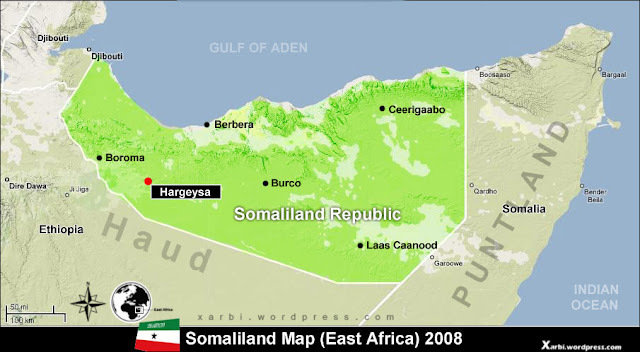 A number of countries began naval patrols off East Africa and in the Gulf of Aden to try to combat the attacks. With the threat still present, fishing fleets have had to move further east from the Somali coast, Mr Anganuzzi told Reuters news agency. About 40% of Seychelles's foreign earnings come from tuna and related industries, the IOTC said. French and Spanish fleets based in Seychelles caught only 50% of their expected catch. The fleets usually catch nearly two-thirds of the year's haul off Somalia between August and November, he said. Seychelles is paid per tonne of fish landed for port facilities and reduced catches mean fewer calls to port. "The pirates' biggest impact, however, is reduced supply, driving prices up," the head of the Seychelles Fisheries Authority, Rondolph Payet, told Reuters.